Entrepreneur and President of Gourmet Harvest International, LLC. Jeanette Davis was selected to compete in the 2018 Roundup and Best Bites Competition for the second year in a row. HOUSTON, TX, February 1, 2018 – Gourmet baker, Jeanette Davis, will bring her talents to the world renown Houston Livestock Show and Rodeo™ when she competes in the Roundup and Best Bites Competition. This is the second year in a row that Davis’s baking talent will be showcased in this high profile event. The Houston Livestock Show and Rodeo™ is the world’s largest livestock Show and rodeo. With more than 33,000 volunteers, the organization is a Section 501(c)(3) charity that benefits youth, supports education and facilitates better agricultural practices through exhibitions and presentations. Roundup and Best Bites Competition is one of the world’s largest gourmet food events paired with more than 400 award-winning wines, including the Grand Champion and Reserve Grand Champion of the International Wine Competition. At the Rodeo Uncorked! Roundup & Best Bites Competition, individuals will have the opportunity to taste signature dishes from approximately 100 of the area’s top restaurants, culinary institutions, bakers and chef. Individuals can then vote for their favorites. The Roundup and Best Bites Competition will be held February 18, 2018 at the NRG Center, Halls D and E.
The Houston Livestock Show and Rodeo™ promotes agriculture by hosting an annual, family-friendly experience that educates and entertains the public, supports Texas youth, showcases Western heritage and provides year-round educational support within the community. 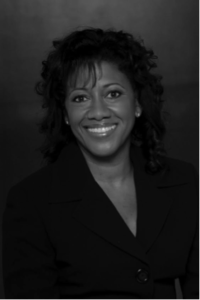 Jeanette L. Davis is the President of Gourmet Harvest International, LLC. , which is a privately held, Houston, Texas based gourmet baking company servicing individuals, retail and the food service industries. Providing the best fruitcakes, nut loafs and breads muffins and cookies is what she loves to do. The company was founded on family recipes that have been handed down for generations. Jeanette L. Davis has always had an affinity for customer service and the consumer business. Over the course of her career she has contributed greatly to her field, including helping with the implementation of many startups as the first point manager and operations team, writing a Training and Reference Manual for the Chips Ahoy Snack lines used to train management, and writing an instructions manual for an Oracle 12 startup for customer service operations in the oil and gas environment, just to name just a few. She has worked for several large companies, including Frito-Lay, Inc., Nabisco, Compaq Computers, and Hewlett-Packard. Davis’s vast knowledge eventually led to her becoming an entrepreneur. With the entrepreneurial spirit firmly taking root, Gourmet Harvest International, LLC. was born. Davis holds a BS in Mechanical and Environmental Systems Engineering from the University of Houston. She also holds a Mid-Management Executive Certificate from the College of Business Administration at the University of Houston and Food Service Management Certificate from the City of Houston.